Mohammed Al-Mutawakel is currently a project manager at GIZ headquarters in Germany and was previously a project manager in Jordan. 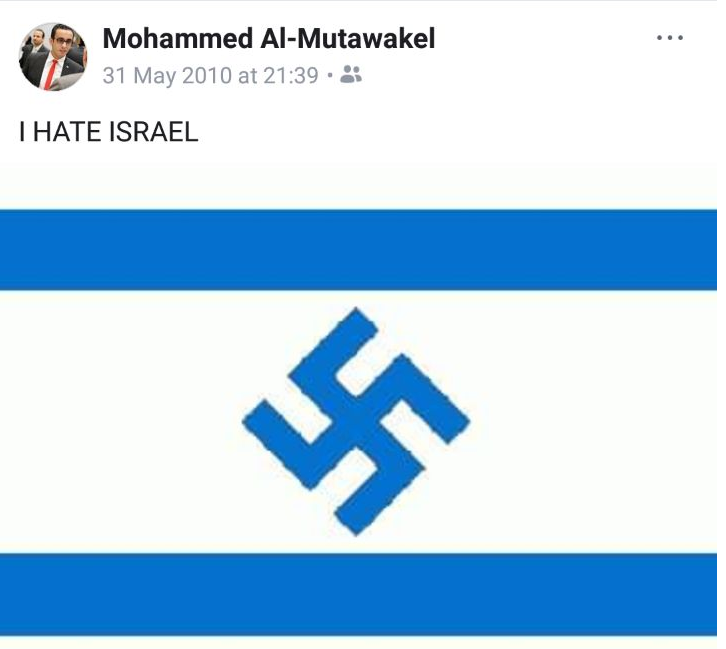 He has used social media to compare Israel to the Nazis and to threaten Israel’s destruction. Safa Kamal el Naser is a GIZ regional advisor in Jordan. In December 2017, he shared a Facebook post claiming that a “Hebrew spring” was behind the downfall of Arab dictators Saddam Hussein, Muammar Qaddafi and Ali Abdullah Saleh. Before joining the GIZ program “Values for Religion and Development” in 2016- a program that he heads, Ulrich Nitschke led the Local Governance and Civil Society Development Program and Future for Palestine at GIZ Palestine” and the chairperson of the GIZ’s Sector Network Governance for the Middle East and North Africa region. He has used Facebook to promote BDS, advocate for Ahed Tamimi, deny the Jewish connection to the Temple Mount, accuse Israel of misusing the term “antisemitism” and stake out other anti-Israel positions. Tobias Thiel heads GIZ’s “Strengthening Reform Initiatives” project. He has shared articles claiming that Israel committed a “deliberate massacre” in Gaza, and arguing that Israel does not have the right to defend itself. The former employee told me that when she got in trouble for her completely accurate post about Tamimi, she told her supervisor that many GIZ employees post horrible things about Israel all the time. Her country director replied it's a security issue...saying anything pro-Israel could upset the Jordanians and therefore puts all GIZ employees at risk. However, the security of the employee who was vilified for a pro-Israel post was not a concern. She was the one called to the carpet for her actions. Her original comments were in a private Facebook group, a Jordanian reported it publicly, putting her in danger. Instead of showing concern for her, GIZ complained about her post in a private group! She also told me that these are not isolated cases, and not only on social media. 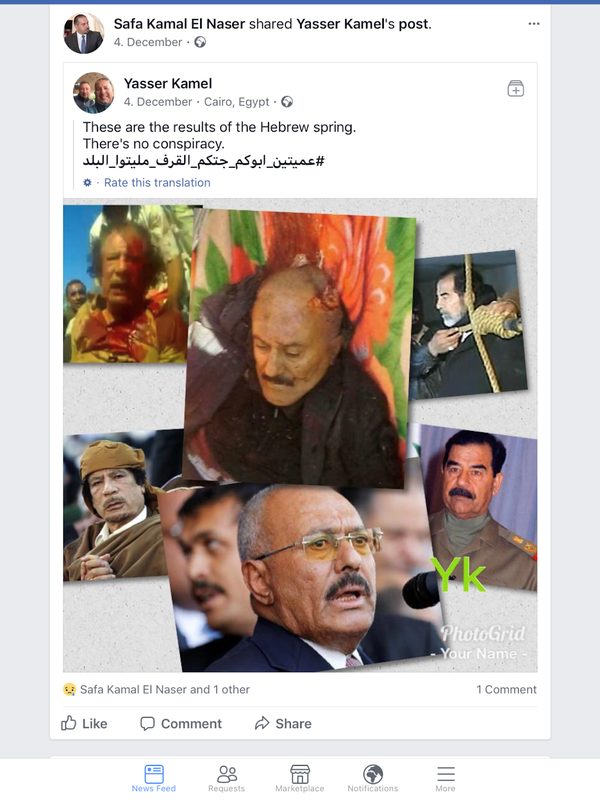 "You have people on the level of regional director for MENA, who have not only 1 but 3 public Facebook accounts with their picture and reference to GIZ, that are entirely dedicated to spreading anti Israel hate," she says. She emphasized that they say these things in person as well. And it is reflected in their policies, in who they choose to partner with and fund, and who knows how many other decisions. This is thoroughly rotten, and it is only a single organization.